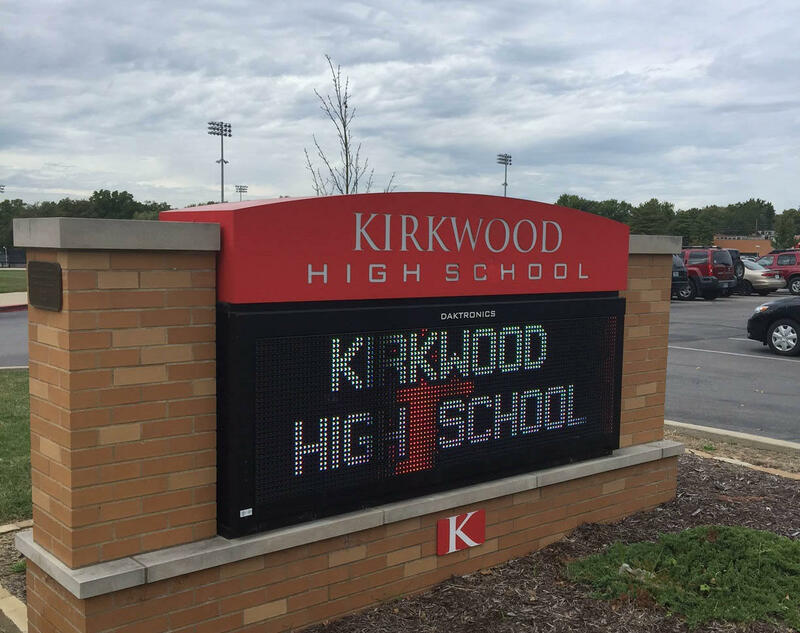 Kirkwood High School's sign that greets students in the parking lot. The use of blackface in the United States began in the 19th century with minstrel shows. White entertainers would paint their faces with burnt cork to perform racist stereotypes of black people. Much to the dismay of many, the offensive caricatures still occur in contemporary society, during the Halloween season and on mainstream television. The 15-year-old and her classmates saw the student with black smudged on his face in the high school’s common area on the way to lunch. Upset, they told their grade-level principal, who is white. “Our principal did not know what blackface was," Smith said. "So we tried to explain it to him." He responded by checking with the drama department to see if the student was wearing makeup for a play. Meanwhile, a white school counselor approached Smith and her friends, told them to calm down and not to assume the student was being racist. Smith and her friends later talked to a coach and an assistant principal about the incident. Everyone involved had a meeting with the head principal the following morning. Havener said the student shouldn’t have been allowed to leave the chemistry classroom with charcoal on his face, and the school needed to have a conversation about it. The student who put the charcoal on his face apologized to Smith and the other students who were offended. Smith expressed relief at the principal’s response, adding that she thinks the student who put charcoal on his face now understands why it was wrong. “A few other people in the meeting don’t really believe it, but I think, for the most part, he won’t do it again,” Smith said. Despite last week’s incident Smith said she likes going to school in Kirkwood. Smith plans attend Monday night's School Board meeting with her mom to bring the matter to the board’s attention.